Pennsylvania is one of several states with laws prohibiting payday lending, but the often predatory products still find their way to consumers via online marketplaces and companies’ claiming affiliation with American Indian tribes. 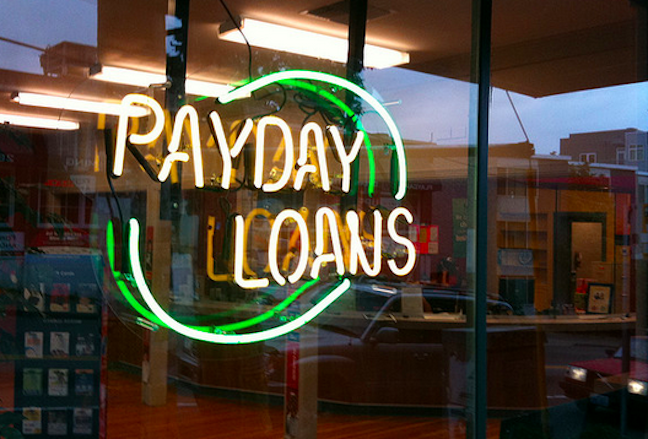 In an effort to crack down on such nefarious lenders, the state’s attorney general filed a consumer protection lawsuit against a Texas-based company for allegedly engineering a payday loan scheme over the internet. Pennsylvania Attorney General Kathleen Kane announced yesterday that her office filed the suit against Think Finance Inc, a company behind a number of payday loan-like lenders including RISE Credit, for violating a number of the state’s laws by targeting Pennsylvania consumers for costly payday loans. The lawsuit claims that Think Finance used three Native American tribes to target the state’s consumers with the lending products. The tribes, which allegedly functioned as a cover, made it possible for Think Finance to earn revenue through various services it charges to the tribes. According to the complaint, this isn’t the first time Think Finance has engaged in shady actions to skirt that state’s payday lending laws. Previously, the company was found to be engaged in a “rent-a-bank” scheme, in which it used a Philadelphia bank as cover to provide the small-dollar, high-interest loans to consumer. That operation was shut down by the federal government. The AG’s suit also named the company behind MoneyMutual – Selling Source LLC – as a defendant in the case for its part as an active member in Think Finance’s scheme. The internet marketer allegedly used the MoneyMutual website and television commercials, which feature Montel Williams, to generate online leads for Think Finance products in order to receive commissions. According to the suit, Selling Source continued to make referrals of Pennsylvania residents to Think Finance even after the company was ordered to stop the referrals as part of a 2011 agreement with the Pennsylvania Department of Banking. Also named as defendants in the suit were a number of debt collectors including Washington-based law firm of Weinstein, Pinson and Riley PS, Cerastes LLC and National Credit Adjusters LLC, which were allegedly utilized to collect debts derived from illegal loans. In all, the defendants are accused of violating several Pennsylvania laws including the Unfair Trade Practices and Consumer Protection Law, the Corrupt Organizations Act and the Fair Credit Extension Uniformity Act. The lawsuit seeks to provide restitution for all consumers harmed by the scheme. Civil penalties levied against the companies would include up to $1,000 for each violation of Pennsylvania law and up to $3,000 for each violation involving a senior citizen.